It could be Chikungunya Arthritis. Were you recently diagnosed with Chikungunya and are now experiencing joint pains after Chikungunya? If so, you may be suffering from Chikungunya Arthritis. Your joint pains are similar to that of Arthritis pains. In fact, many other viral fevers can result in Post Viral Arthropathy or Viral Arthritis causing joint pains that can last a long time. You may be finding it hard to get out of bed in the morning or even picking up the newspaper. The pain from Chikungunya Arthritis often affects wrists, elbows, hands, knee, ankles and feet. Sometimes your hips might hurt as well. Joint Pains after Chikungunya may last several weeks or even a few months. In older people, the pain can last even a year. While this may sound like bad news, there is a silver lining. Unlike Arthritis, Chikungunya Arthritis is reversible in most cases. This means that the pain will eventual go away. In the mean time, you can manage the pain and reduce the intensity of it. Before we learn more about Chikungunya Arthritis, note that the pain you are experiencing may be managed by Compression products. For example: you can wear Lumino Cielo Arthritis Gloves. These gloves provide therapeutic warmth, improve blood circulation and reduce pain in fingers and hand. These gloves are open on fingertips so you can do your day-to-day work while wearing these gloves. For your ankle and feet pain, you can wear Lumino Cielo Compression socks. 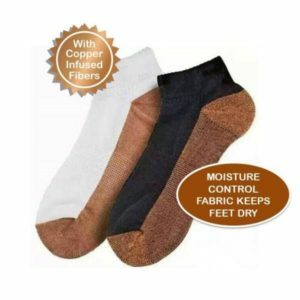 If your pain is severe, you should try socks with strong compression. For knee pain you wear a Knee Brace. Here is more about Chikungunya Arthritis. Why are you experiencing Arthritis like symptoms and joint pains after Chikungunya? Chikungunya virus attacks joints in the body. This means that antibodies made by our body to fight this virus also attack them in the same joints. While attacking the virus, these antibodies sometimes attack good cells in the region resulting in inflamed tissue in the joints, swelling of the cartilages, locking/freezing of the joints. That is why patients experience stiffness in the joints and sometimes severe joint pains after Chikungunya. When will my joint pains go away? Even after Chikungunya is cured, you may experience severe joint pain for several weeks and months afterwards. In older people, this pain may last even a year. While it may be difficult to deal with this pain, it is manageable. How do I manage Chikungunya Arthritis? Stretching Exercises in the morning: Start your day with moving your joints slowly with mild stretches. Stretching your arms, fingers, legs and your knees can help reduce stiffness of joints. Repeat these stretches after prolonged sitting. Remember, you should not try to jump-start your day like you used to before Chikungunya. Take it easy and take your time in the morning. Pain Killers: With doctor’s consultation, you can take appropriate painkillers. Remember to not take pain killers for too long. Try to manage pain with alternate pain relief products such as hot and cold packs and compression products. 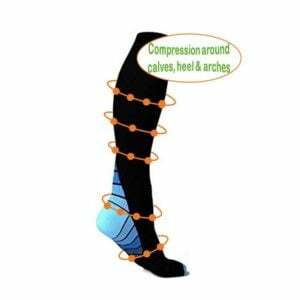 Compression Products: Compression products often help with pain relief in the joints. Compression improves blood circulation, reduces swelling and stiffness in the joints. Try Lumino Cielo Arthritis Gloves for joint pain relief in wrist and fingers. The open fingertips will allow you continue to do your finger stretches and your other daily activities even after you wear these gloves. For your knees, try Lumino Cielo Compression Knee brace. For your legs and feet, try one of the many compression socks by Lumino Cielo. Hot and Cold Pack: For inflamed joints, hot and cold therapy (alternating each) helps with pain relief. Lumino Cielo offers many different sizes of hot and cold packs. You can heat the pack in microwave for hot therapy or cool it in the freezer for cold therapy. This will provide temporary pain relief in your stiff joints. Hope you recover from Joint Pains after Chikungunya and Chikungunya Arthritis really soon. Excellent Article about Chikungunya and Dengue joint pains.